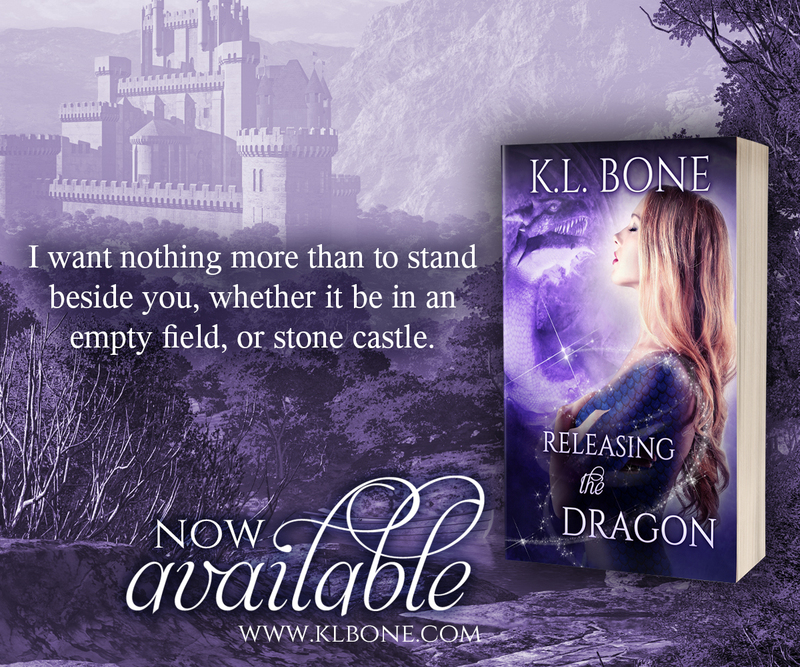 Two Chicks On Books: Blog Tour- RELEASING THE DRAGON by K.L. Bone With Teasers & A Giveaway! 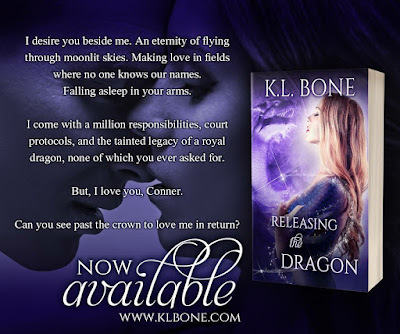 Blog Tour- RELEASING THE DRAGON by K.L. Bone With Teasers & A Giveaway! I am happy to be hosting a stop on the blog tour for RELEASING THE DRAGON by K.L. Bone! I have an excerpt to share with you today check it out and enter to win the giveaway below! Standing steadfast by her side, Amelia's Captain Gwain, and newfound love Conner, strive to assist her. 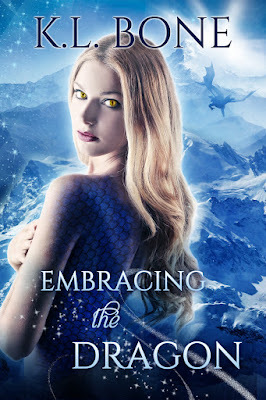 In their quest to forge a new kingdom, one free from oppression of those not blessed with a dragon form, Amelia delves deeper into the temple’s corruption and uncovers the horrors wrought upon her kingdom’s children in the name of control and power. 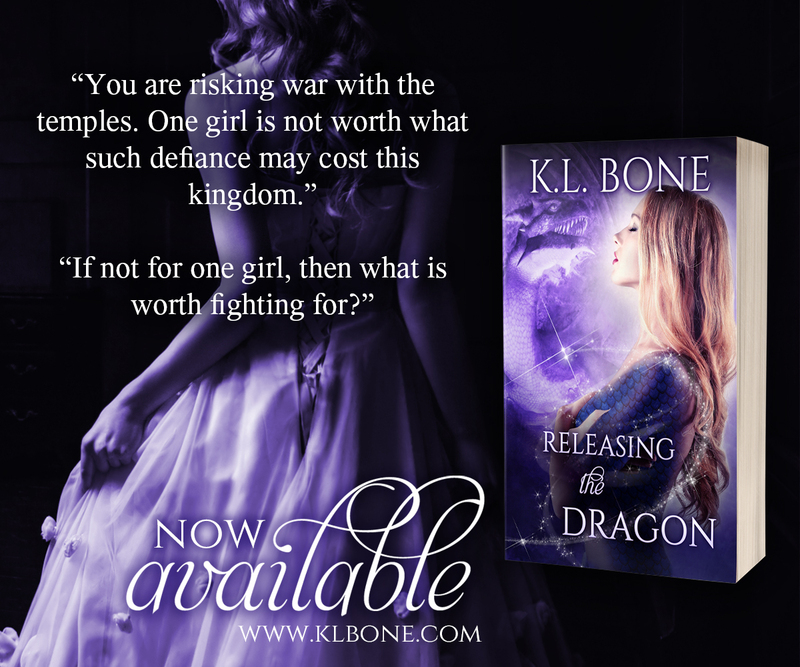 A necessary task, for a better future, but her revelations could spark a civil war between the temples’ devoted followers and those sworn to the royal dragon bloodline. Now on to the excerpts! K.L. 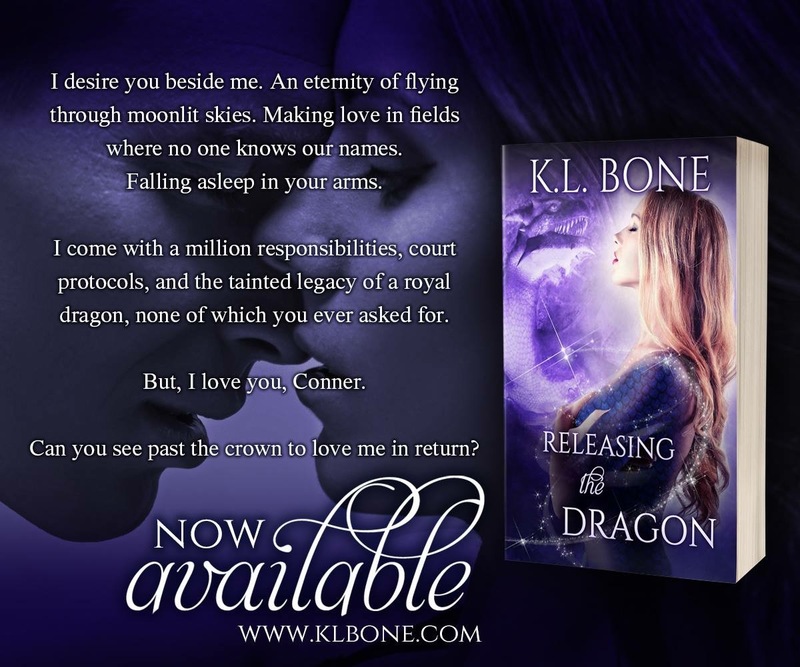 Bone is a bestselling author of dark fantasy and paranormal romance. Her works include the bestselling Black Rose Guard dark fantasy series. The bestselling Flames of Kalleen paranormal romance series. The Rise of the Temple Gods fantasy series. And a stand-alone science fiction novel, The Indoctrination. 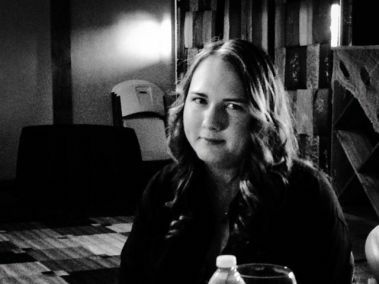 Bone has a master’s degree in modern literary cultures and is working toward her PhD. She wrote her first short story at the age of fifteen and grew up with an equally great love of both classical literature and speculative fiction. Bone has spent the last few years as a bit of a world traveler, living in California, London, and most recently, Dublin. When not immersed in words, of her own creation or studies, you’ll find her traveling to mythical sites and Game of Thrones filming locations. 1 winner will receive a $25 Amazon Gift Card, International.